For me, Halloween 2 is one of the best horror sequels around. It never fails to give me the creeps every time I watch it. This movie is really frightening and also beautifully made - a remarkable and gruesome work of art! Jamie Lee Curtis still stars in this one, together with Donald Pleasance, Jeffrey Kramer, and Charles Cyphers. Michael Myers is back and very much alive! He now haunts a hospital where his sister (Jamie Lee Curtis) is confined. 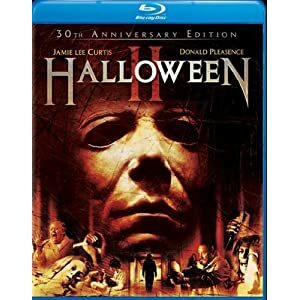 While the crazy killer is getting closer to finding his target, Dr. Loomis (Donald Pleasance) discovers something about Michael’s past which sheds light to his very harmful behavior.